Cupping Massage is the combination of massage movements and negative pressure with the use of a suction device on the skin. A cup is positioned at the area to be treated and, depending on the type of cups being used; a vacuum is created within the cup to draw the skin and underlying tissue into the cup. Cupping therapy is possibly the best form of deep tissue massage therapy. It is known to work on up to four inches of tissues inside the body. The suction created by cupping therapy can work to induce the tissues to release the toxins accumulated in them, and also stimulate the lymphatic system. This stimulation helps to clear the released toxins including debris and old blood by carrying them to the surface below the skin. From here, they are naturally expelled by the body. Cupping may leave temporary marks, therefore you need to consider if you will be going to the beach, pool, or formal event where they will be revealed. They can last as little as two days to two weeks or maybe more. 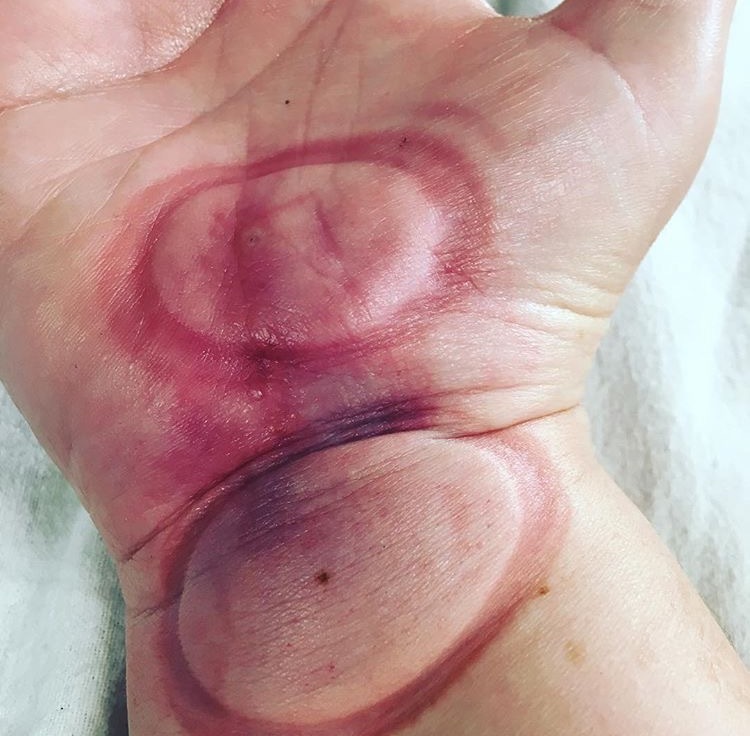 Cupping marks may take up to 24 or 48 hours to present. It is not a bruise. A bruise is a type of hematoma of tissue that has suffered a blow or bump to break the capillaries. A cupping mark is thought to be a release of dead static blood, lymph, cellular debris, pathogens and toxins that are brought to the surface of the skin. You may have post treatment soreness similar to that of a deep tissue massage. As always it is good to drink more water after a treatment just like massage, an Epsom salt bath would also be beneficial. You may use an arnica cream/oil, Traumacare, or other homeopathic anti-inflammatory cream. Kinesiology tape also helps to reduce the marks. If blisters should develop, to prevent infection they should be wiped with antiseptic and covered with a sterile pad and left to be reabsorbed by the body. Cupping is contraindicated in cases of severe diseases, i.e. cardiac failure, renal failure, ascites due to hepato-cirrhosis and severe edema, as well as hemorrhagic diseases such as allergic pupura, hemophilia and leukemia, and clients with dermatosis, destruction of skin, or allergic dermatitis. Cupping should not be applied on the portion where hernia exists or has occurred in the past. Also pregnancy is contraindicated. what cups look like on the body during a treatment, a cupping mark a day later. 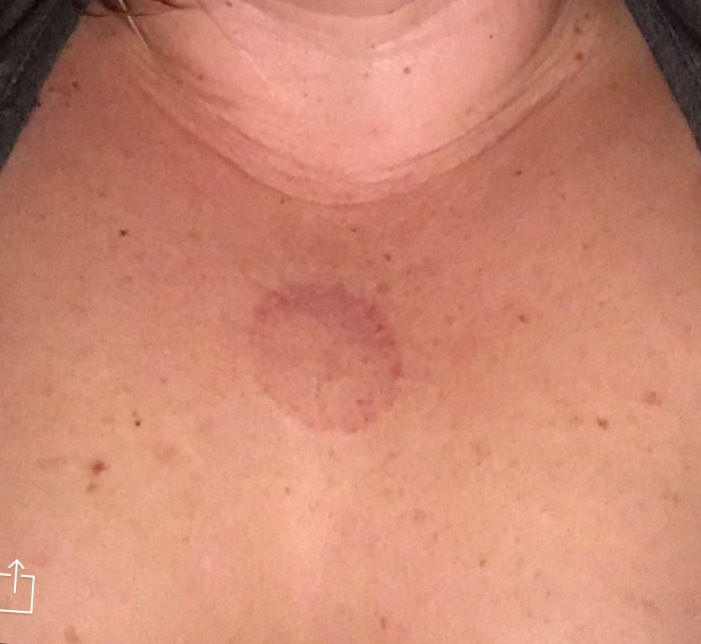 A cupping treatment for scar tissue and a photo of what it looked like the next day.